PPS Centurion Square has a 5-Star Green Star Office v1 Design rating. SIRAC was commissioned to supply and install a high efficiency hot water system with superior insulation and efficient heating. The heat pump system installed provides hot water for the entire complex which consists of a 9,300 square metre state-of-the-art office building. 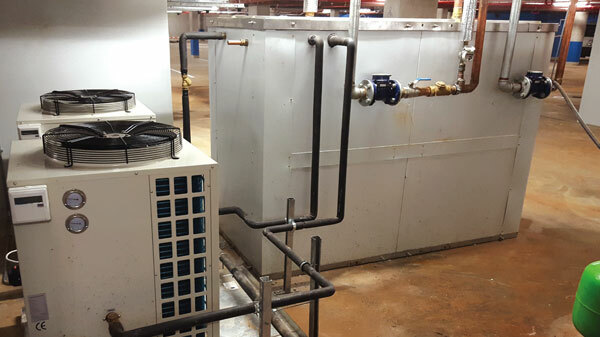 Thermocube supplied 3500L of hot water stored in the Thermocube indirect storage tanks and maintains the temperature with two LSQ06R (20kW Med Temp) Heat Pumps. The plant is positioned in a well ventilated basement parking area.